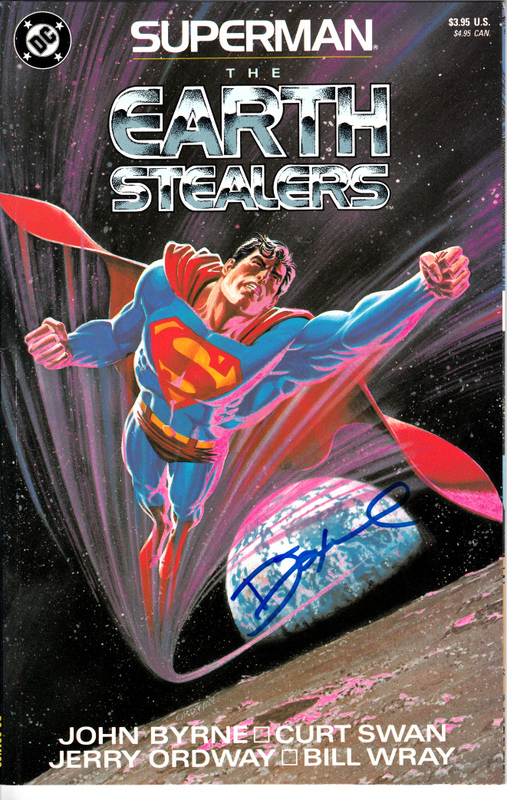 Superman The Earth Stealers comic book or graphic novel autographed in blue marker on the cover by editor Dennis O'Neil, a prominent DC and Marvel comic book writer for decades. 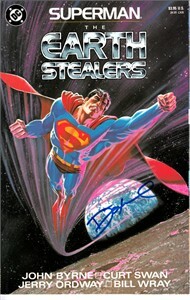 Obtained in person at San Diego Comic-Con many years ago, with certificate of authenticity from AutographsForSale.com. Comic book is in excellent condition. ONLY ONE AVAILABLE FOR SALE.